What Can A Refeed Do For You? Coaches, magazines, and industry insiders alike may all have very different opinions on the value and importance of a cheat meal. 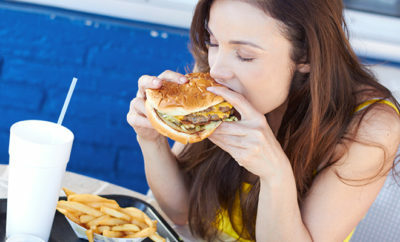 The word typically carries connotations that lead to thoughts of ‘inappropriate behaviours or actions’, so maybe that’s where this article needs to start – dispelling the notion that a cheat meal is a bad thing and renaming it to a ‘refeed’. So let’s talk about the pros and cons of a refeed. With the holiday season just around the corner, you can prepare yourself with the know-how to stay on track, and still ensure your body is getting the nutrients it needs to grow, heal, and improve. Anyone who has adhered to any type of restriction on their eating habits knows that denying the body of certain foods it ‘craves’ can result in severe overeating and longer term instability in managing caloric consumption. 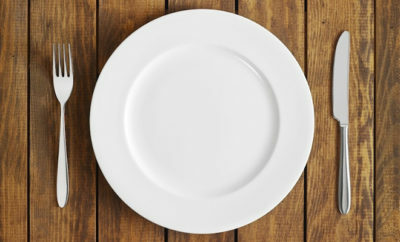 ‎If your goals are fat loss, muscle gain, or specific strength improvements, you may follow a particular eating regime which focuses on certain foods and either limits or completely eliminates others. This translates into deficits in your system- whether that be carbohydrates, sugars, fats, or other nutrients- that need to be managed. One way of managing these deficits is through a weekly refeed. Now, this doesn’t mean you should have junk (e.g. chips, candy, popcorn, etc. ), but a nutrient and calorie-dense meal once a week (e.g. burger ‎and fries, plate of pasta, club sandwich, etc.) will help your body rebalance those deficits and cravings, give you a jolt of energy, and eliminate those psychological ‘wants’ you may experience in between refeeds. Something to keep in mind is that a refeed should not last longer than approximately 45-60 minutes- you do not want to eat for three hours straight. You should also ensure that you will be awake for three to four hours after your meal so that you can give your body some time to digest your food, avoiding any stomach discomfort that may occur if you go to sleep right away. ‎Another recommendation is to take an oral digestive enzyme with your meal to help your body synthesize the food, and maximally absorb the nutrients you have ingested. You can also brush your teeth after you’ve eaten, which will leave you less likely to continue eating and will distract your brain from thinking about wanting more. Have a protein shake or small snack before leaving your house to ensure you aren’t starving when you arrive. Fill your plate up with lean protein, steamed veggies, and some complex carbohydrates (I recommend squash or a baked potato) and then garnish with dressings ‎versus having them as your meal mainstays. For every alcoholic beverage you have, drink two glasses of water to stay hydrated and avoid excess calories (and a hangover!). Choose a dessert, not several, or have a small sampler of your favourites. Remember that the holidays are about those around you, and not what you eat and drink. Holiday weight gain will stick around long after the celebrations are over. ‎As an athlete and coach, I firmly believe in the value of a refeed. I believe that they can be used very effectively to help achieve your goals and keep your mind and body in check. It is important that you recognize all the hard work you put in during the week, and enjoy a meal which contributes to your longer term objectives. So don’t feel guilty about cheating my friends. When done properly, it does a body good!